The Jonathan Association is hiring a competent and reliable gardener to maintain common space gardens and flowerbeds. 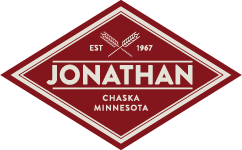 Jonathan is the largest homeowners’ association in Minnesota. The successful candidate will possess knowledge of effective gardening techniques, be friendly, and show professionalism. They will be responsible for all gardening maintenance tasks, including planting trees, planting flowers, weeding, pruning, and advising management of cost-effective methods. Candidates must be physically able to manage small tools and machinery. The position requires outdoor work, in varying weather conditions. Monday-Friday, 8 hours/day; 40 hours/week; approximately May until October. Starting wage: $17.00/hour. Interested candidates should send their resumes to info@jonathaninchaska.com. Plant and nurture new trees, flowers, and plants. Maintain gardens to ensure they meet requirements and expectations. Work with hand tools and basic light machinery, such as plant vehicles and small diggers. Maintain clean common areas, by clearing rubbish/litter from gardens and grounds. Perform maintenance such as emptying bins, controlling weeds, and raking leaves. Advise management on the costs of plants and garden necessities with detailed written quotes and reports. Ensure a safe environment for staff and clients, by adhering to safety and health regulations. At least 2 years’ experience, with references, in a similar role. Thorough understanding of health and safety laws and regulations.